Have you heard about phumplings yet? They're pho + soup dumplings and yes, I am jumping on that bandwagon. I need to try them out. Unfortunately, these are just normal soup dumplings. Fortunately, these are soup dumplings. 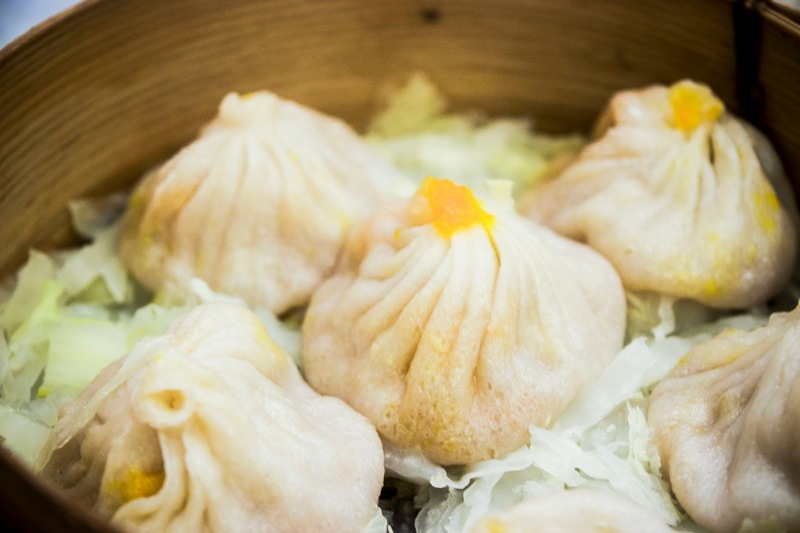 I think Shanghai-style soup dumplings started to be a trendy "thing" a few years ago; hot, meaty, and requiring impeccable skill, I can definitely see the mainstream appeal. Being Chinese, I have eaten more than my fair share of soup dumplings on both sides of the Pacific. 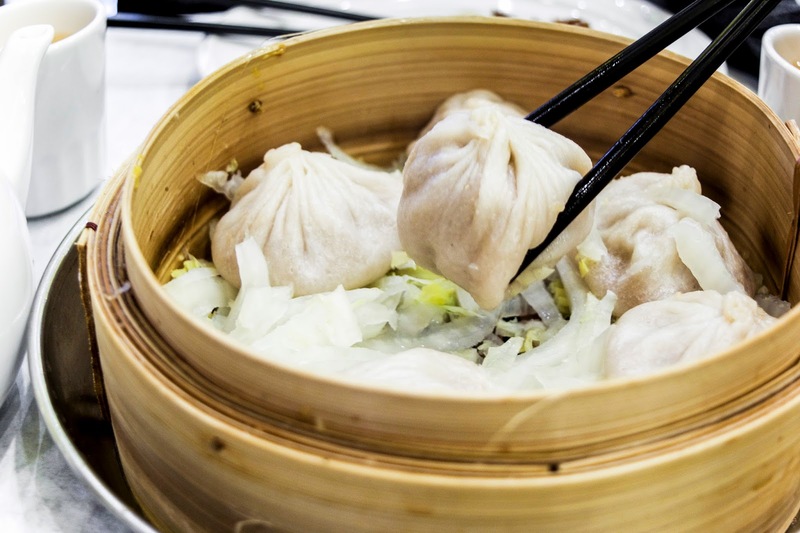 Expertly-made thin, chewy skins, collagen-rich broth, porky fillings; hello soup dumplings, you're more than welcome to burn the roof of my mouth. Joe's Shanghai is probably one of the most well-known places for soup dumplings in NYC and despite having three large locations, they are almost always busy. I arrived around 4PM on a Friday afternoon, that awkward time in between lunch and dinner and ended up waiting nearly forty-five minutes for a table. Pro tip: if you're ever in a Shanghainese restaurant, order this. 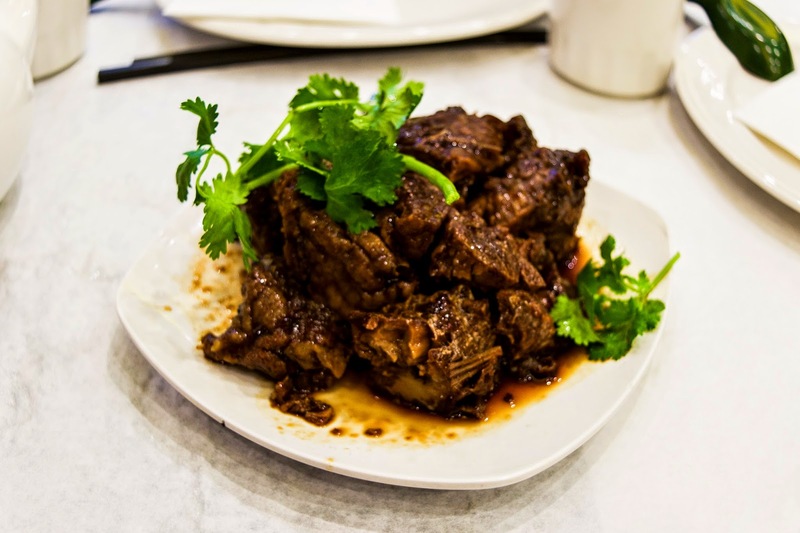 It's usually located on the appetizer menu and a very common Shanghai dish. While it's translated as smoked fish, I think the dish tastes more like it's been braised in five spice, soy sauce, sugar, and fairy dust. Served cold, it's sweet, savory, juicy, and tender with just the lightest hint of smoke. Trust me, you'll like it. At over a buck a dumpling, you're paying a hefty price for these dumplings but I do think it's worth it. We ordered both the normal pork-filled ones and the crab roe and pork filled ones. The dumplings here are a bit larger than other places and while the skins aren't the thinnest I've had, the broth inside is what makes it. Collagen-rich and fatty, the savory juices are thick enough to coat your entire mouth, leaving a delightfully rich pork flavor behind. If I had to chose one, I would recommend the crab-roe filled dumplings over the regular ones. 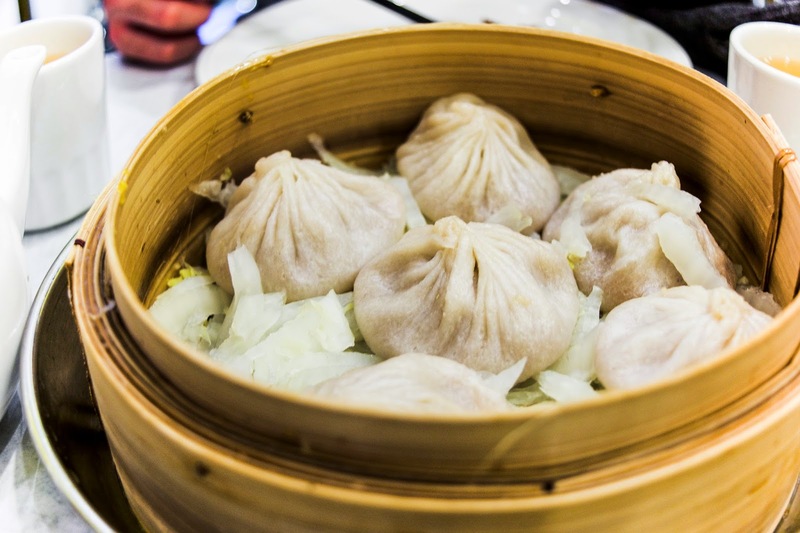 The fishy flavor that the crab imparts is just light enough to bring an extra dimension to the dumplings without overpowering the main attraction. We ordered the rice cakes with pork mostly as a filler because we couldn't afford to stuff ourselves with soup dumplings alone (that broke college student life) and to be honest, I was quite disappointed in what we got. 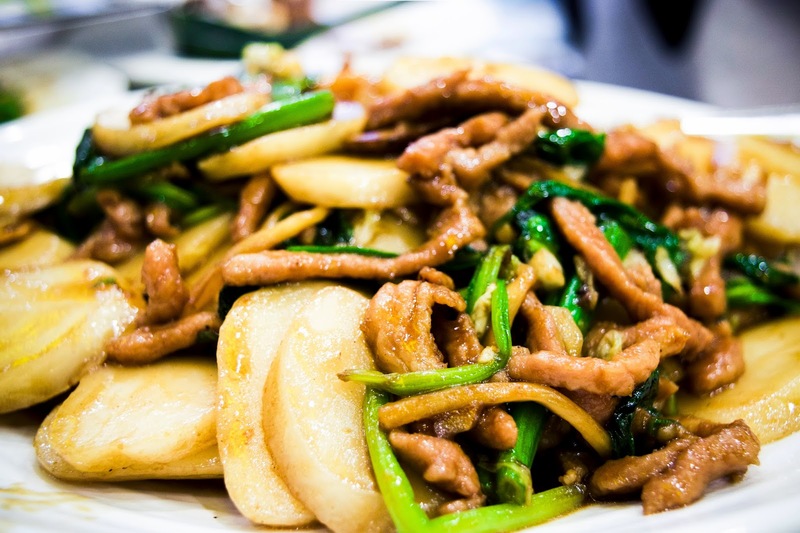 A crucial ingredient in Shanghai-style fried rice cakes is the pickled mustard greens, which this dish lacked. While the rice cakes were passable, I missed the sour, greasy punch that authentic rice cakes have. One thing to note though: don't expect great service. Joe's Shanghai operates like a very "stereotypical" Chinese restaurant where service is rushed and curt. So does it live up to the hype? Yes. The soup dumpling are some of the best I've had in the US, but keep in mind that the prices are extremely inflated. I don't think that this is a place I would go more than once or twice, simply because I can't afford to eat my fill there.